Israel was well on their way to exporting cannabis earlier this year, which was foreseen to bring in around $1 billion in revenues. The efforts were halted in April amid fears that cultivating the plant could result in an increase in drug crimes. However, parliament chairman of internal affairs and environment Yoav Kisch, proposed a bill that would allow exports while imposing stricter regulations and possible jail terms for violators. After passing 1 of three votes in parliament earlier this month, the bill is back with Kisch’s committee who is now overseeing the final revisions. “I aim to finish the legislation by the end of the year,” Kisch told Reuters. 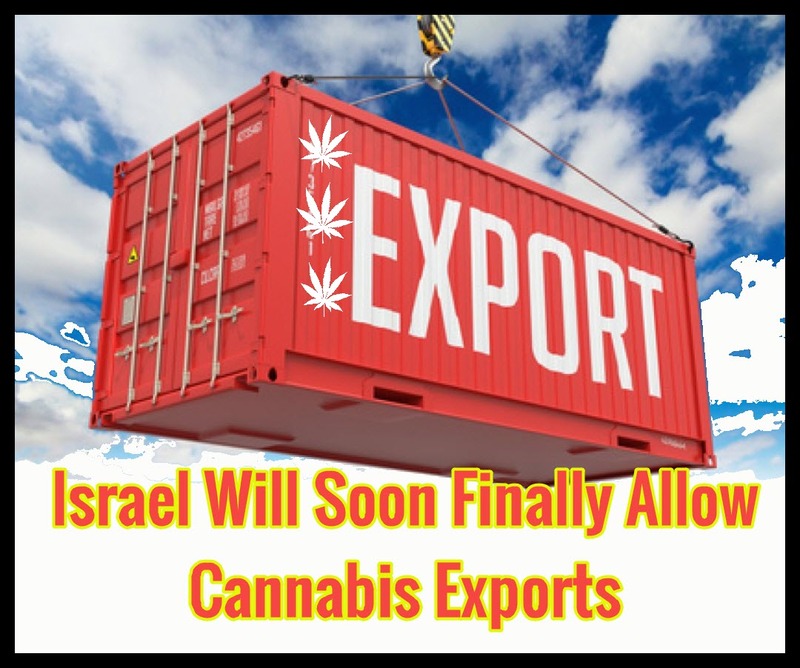 “We believe it’s medicine and it’s important… it’s a big potential for Israeli farmers and the economy,” he adds, saying that regulating cannabis exports could pump some $268 million each year in tax income. Israel currently has 8 cannabis cultivation farms, many of which have ended up opening farms in international shores just to benefit from the market. The government also says that there were many more requests from other business owners who are still waiting for authorization. A newcomer named Cannbit has opened a farm in the south, and inked a deal with Tikun Olam, a local MMJ supplier. Cannbit disclosed that they were also thinking of establishing cultivation farms in Portugal should the new regulations be stalled yet again. “If there will be exports from Israel there will be less tendency for investments in other places,” says Cannbit CEO Yaron Razon. Exports will be good not just for Israel, but for other countries who can benefit from the country’s unique growing conditions. However, it’s likely that only processed cannabis products including capsules and oils, will be permitted for exports. Dried cannabis flower will likely not be allowed for exports. Late in November, Israel was visited by senior delegates from Jamaica including Agriculture and Industry Minister Audl Shaw, with the purpose of strengthening both business and bilateral relationships. They used the visit as an opportunity to further learn about the Israeli cannabis industry and explore how the two countries can work together. The delegates visited medical cannabis research facility Lumir Lab, which is located within the Hebrew University of Jerusalem’s Biotechnology Park in the Hadassah Ein Kerem campus. Lumir Lab CEO Yotam Hod together with Lumir Hanus, a pioneer in cannabinoid research, welcomed the delegates. Hod acknowledged the significance of cannabis in the traditions and cultures of Jamaica, where a medical cannabis program was recently developed. “The vast knowledge accumulated in Jamaica as part of the use of cannabis in most households and the unique genetics of cannabis plants that are found only in Jamaica, coupled with the distinctive scientific capabilities provided by Lumir Lab, create a unique collaboration that will lead to the development of advanced products,” said Hod. Israel is a global leader in cannabis research, yet a Media Line article shares how the lack of transparency from local health officials has been a problem. Media Line spoke to many Israeli doctors that are prescribing cannabis to patients to share their experiences in navigating the local MMJ industry. 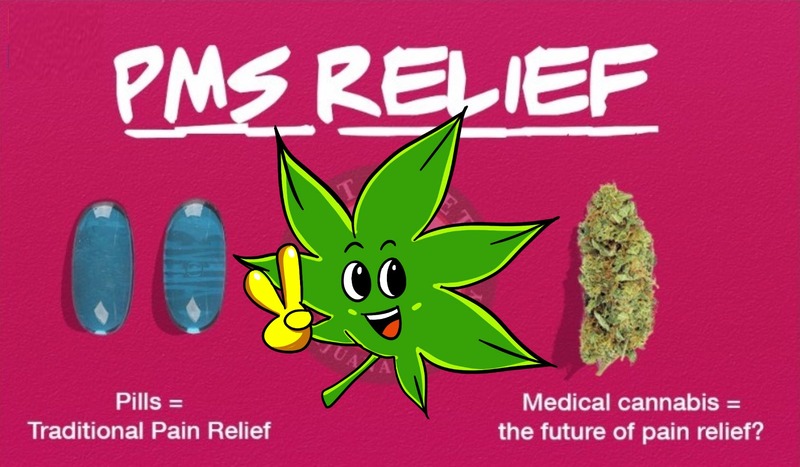 Over 40,000 Israelis already use medical cannabis to treat an array of conditions, particularly women’s health problems such as endometriosis. Endometriosis affects around 180 million women around the world; a condition that is known for causing severe pelvic pain and which may lead to infertility. “We are sure that this can be a very novel treatment for endometriosis,” says Director of the Center for Endometriosis Treatment at the Sheba Medical Center, Professor David Soriano. “We are now conducting a randomized control study in order to prove this,” Soriano says. However, Soriano disclosed that one of the biggest hurdles that medical professionals have to face is the dearth of research on the endocannabinoid system. The endocannabinoid system is a network of neurotransmitters that regulates many important biological processes such as pain, stress, appetite, and memory. “We know that the female reproductive system is particularly responsive to the medicinal properties of the plant,” Meredith Rose Burak told Media Line. “This system has the highest concentration of endocannabinoids anywhere in the body after the brain,” she says. Burak is the Director of Global Relations within the Asana Bio Group. Israel Will Soon Allow Marijuana Exports, Finally! from CannabisNet on Vimeo. 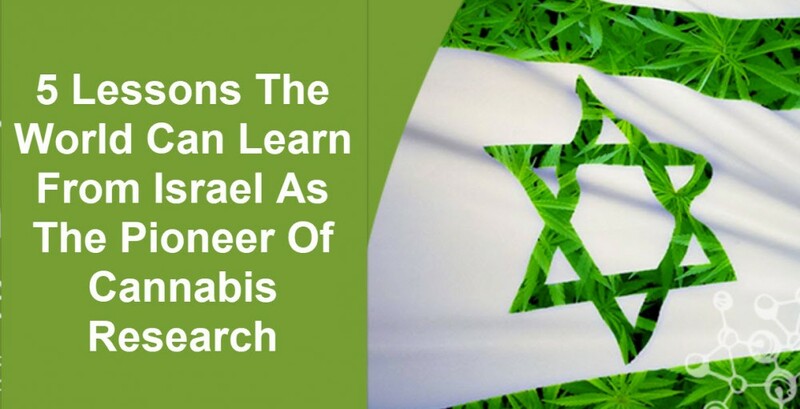 ISRAEL CANNABIS STUDIES AND FINDINGS, READ THIS, CLICK HERE. 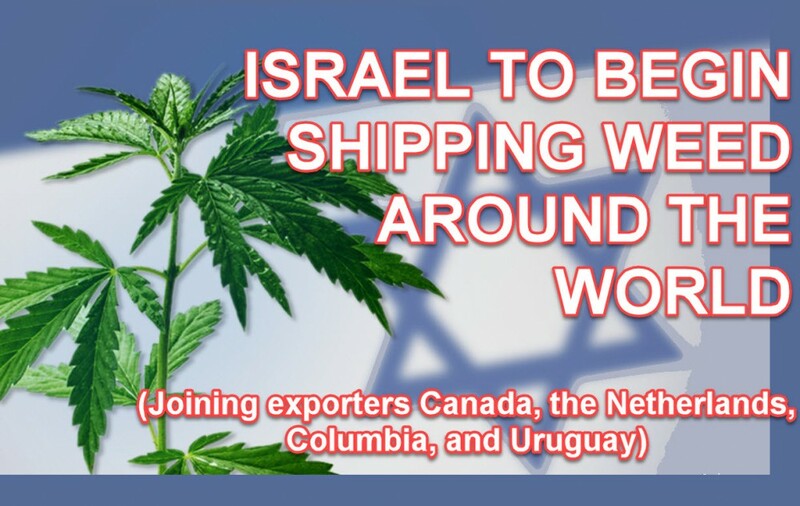 ISRAEL BEGINS SHIPPING CANNABIS SOON, CLICK HERE. 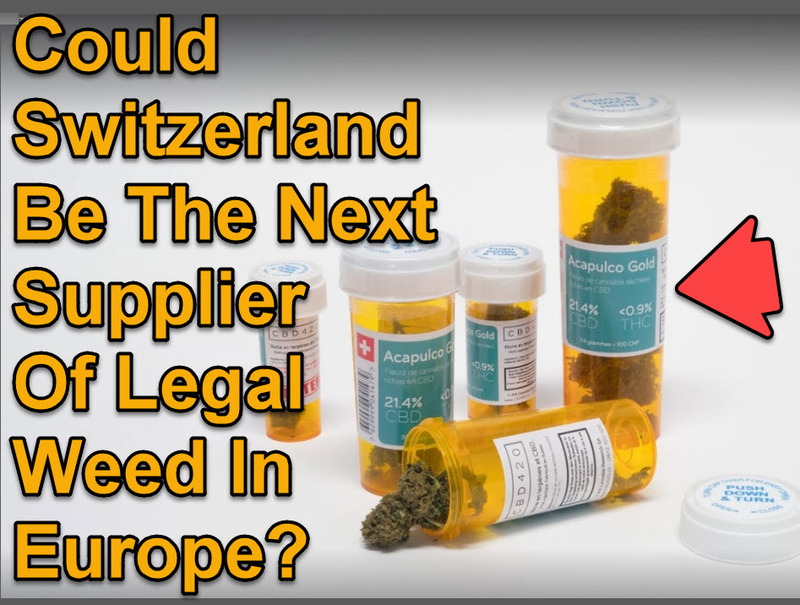 Could Switzerland Be The Next Supplier Of Legal Weed In Europe? In cannabis fields throughout Switzerland, harvest time is about to end. Crops will soon be distributed to head shops in France and Switzerland, and soon may be available in other parts of Europe thanks to a business named CBD420.